Pumicpic coming to the fight with a record of 20 wins 6 by KO with 8 defeats, Pumicpic currently ranked no. 28 in the world in the featherweight division and won his last 2 big fights against Roli Gasca and former world title challenger Hisashi Amagasa both by decisions. 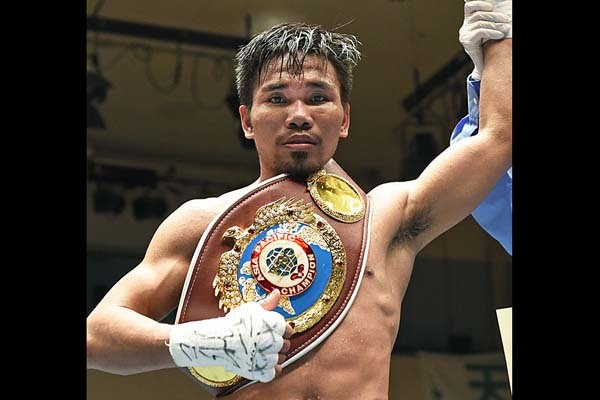 The 27 years old Filipino is not a KO puncher but he has a good stamina and strong chin plus a good combination that can definitely bring some advantages against Kimura. Kimura meanwhile, undefeated with a record of 9 wins with 4 KO's, 21 years old from Zentsuji, Kagawa, Japan. This will be Kimura's first title fight, he is an underdog but this Japanese can always make changes and can upset the Filipino. Pumicpic vs. Kimura will be held at Korakuen Hall in Tokyo on April 12th. Filipino Allan Tanada also will be fighting Keita Obara for the World Boxing Organisation Asia Pacific Welterweight Title in the undercard.